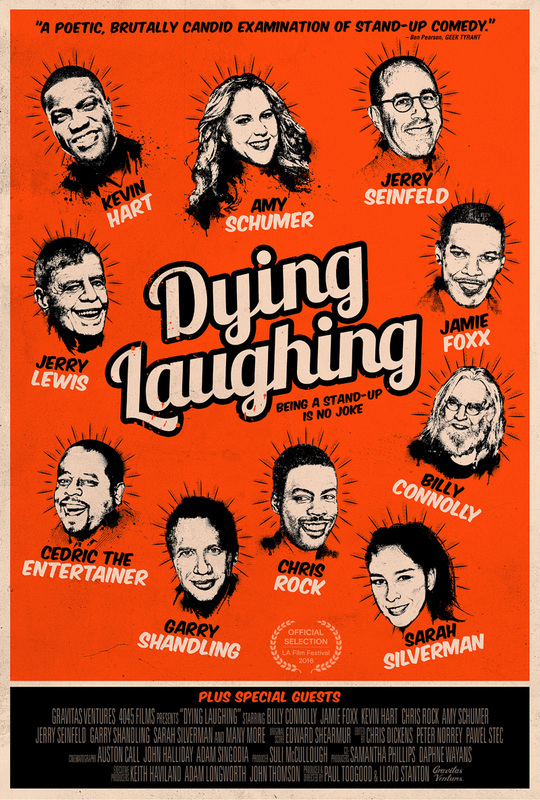 We are proud to debut the exclusive Dying Laughing poster for Gravitas Ventures‘ upcoming comedy documentary, which features all the big names in comedy – Kevin Hart, Jamie Foxx, Chris Rock, Jerry Seinfeld, the late Garry Shandling, Sarah Silverman, Eddie Izzard, Billy Connolly, Steve Coogan, Jerry Lewis, Amy Schumer and many more. Check it out in the gallery below! 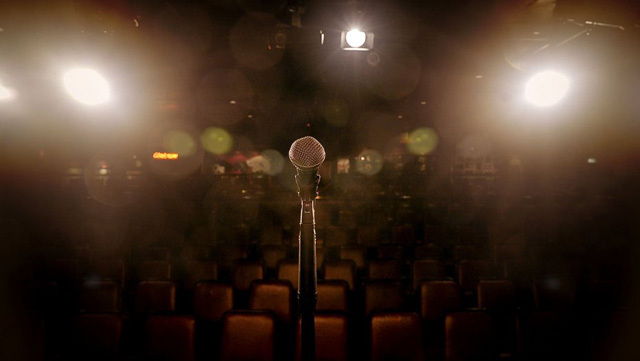 A stand-up comedian is his or her own writer, director and star performer. Unlike any other art form, there is no safety net. In its singular realization, comedy thrives on a stage—often in front of hostile audiences. For most people, baring your soul and being heckled would be a life-changing trauma. For stand-ups, it’s just part of the routine. Directors Lloyd Stanton and Paul Toogood achieve a startling level of intimacy in a series of riveting interviews with Gary Shandling, Chris Rock, Kevin Hart, Jerry Seinfeld, Sarah Silverman, Billy Connolly, Amy Schumer and many other masters of the comedy universe; allowing in-depth access to the emotional and psychological highs and lows of answering the call to become a comic. Dying Laughing opens theatrically in 25 markets and On Demand on February 24.